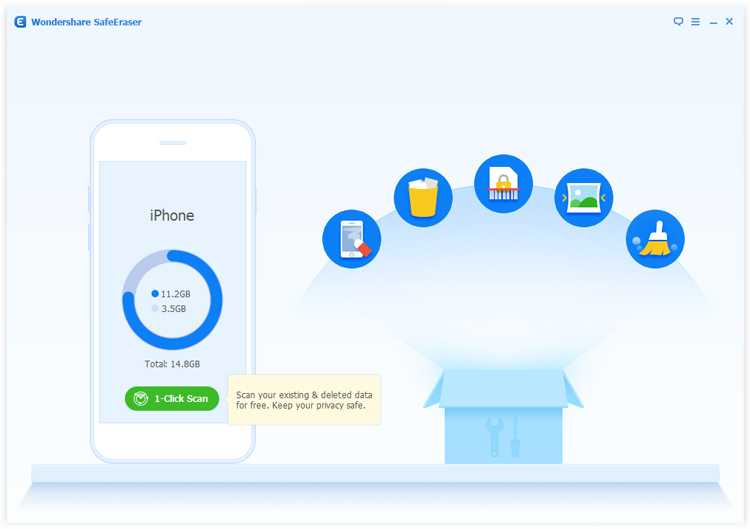 Wondershare SafeEraser — Prevent Identity Theft When Selling Your Old iDevice with 1-Click «Clean Slate» Privacy Safeguard for Ultimate Privacy Protection. 100% Permanent Erasure of Your iDevice’s Data, Nothing Recoverable. Whether you are planning to give away your old iDevice to a friend or relative, donate to charity; sell on eBay, or trade-in for something new; you never know where your old device will end up. Don’t leave your personal information vulnerable to identify thieves; ensure it’s not recoverable by permanently wiping the iDevice with EafeEraser – think of it like a digital shredder. 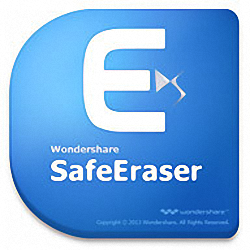 Wondershare SafeEraser is the ideal iDevice «erase» application designed to permanently wipe all personal information from the device using US Military spec over-writing technology to render the data unrecoverable; returning the device to a “clean slate” state before you resell, donate or trade it in. Meets Mil-spec DOD 5220 – 22 M standard for permanent data destruction; prevents personal data from being recoverable. Works with all iDevices — Jailbroken iPhone friendly and also compatible with carrier-locked iPhones. Keep your personal information safe, permanently remove it with SafeEraser prior to disposing of your old iDevice. Simple deletion is not enough. Wondershare SafeEraser offers the most effective and safest data protection solution available by permanently wiping all personal data from the device and resetting system setting with just one click. Afterwards, there’ll be no other data recovery tools that can recover any personal data from the device; not even Wondershare’s Dr.Fone. Wondershare SafeEraser, a genuine“clean slate” solution to give you peace of mind when disposing of your old iDevices. Wipes off data on your iPhone, iPad or iPod touch with fastest speed. This option writes a single pass of zeros over the entire device, saving you time. 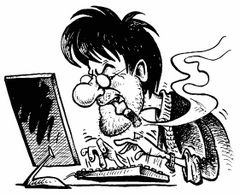 It leaves no traceability of data erasure. This option writes two passes of random data followed by a single pass of known data over the entire iDevice. All existing and deleted data on your iPhone, iPad or iPod touch will be overwritten by random data. This option is by far the most secure data destruction option. It writes over the data 3 times by using the DOD 5220 — 22 M standard. Even a government’s facility with the state-of-art data recovery technology won’t be able to retrieve data afterwards. This mode takes longer but is the safest. Size: 23,05 / 44,78 MB.